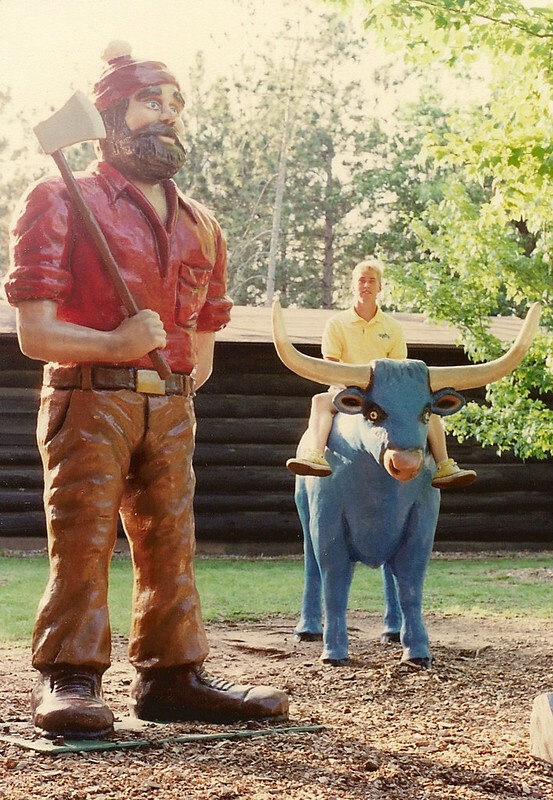 Sean rides Paul Bunyan's blue ox, Babe, at his interpretive center in Eau Claire, Wisconsin. 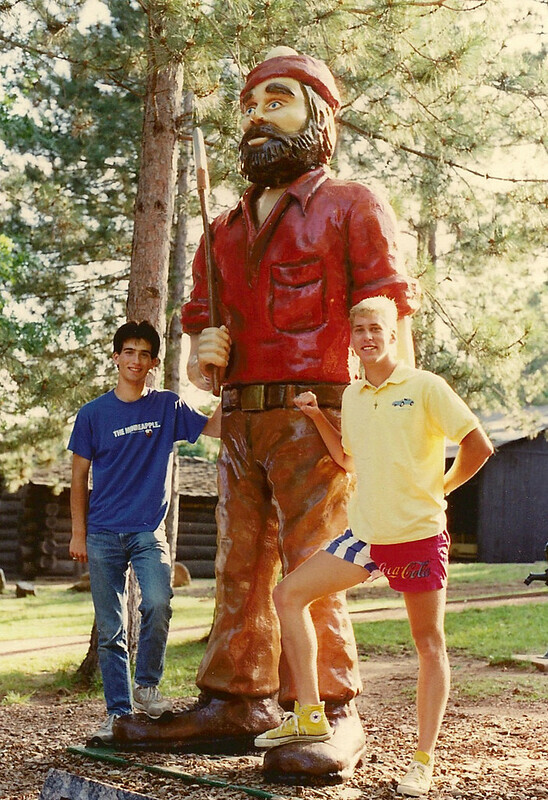 Sean and Chris pose with Paul Bunyan. 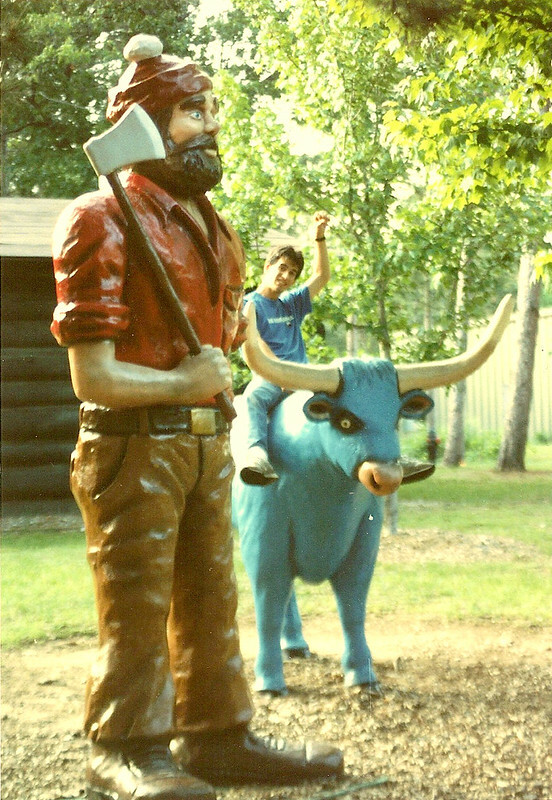 Chris takes a turn riding the blue beast. 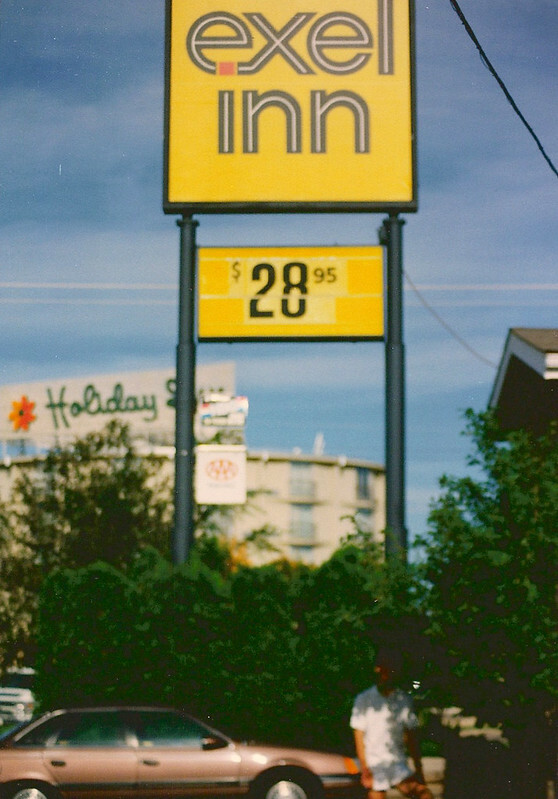 Chris and Sean spent the night at the Exel Inn in Eau Claire, Wisconsin.